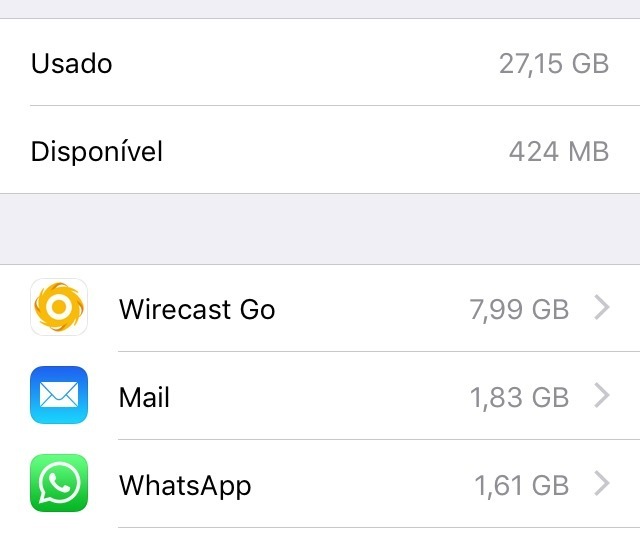 Cache Full Wirecast Go - to delete the app or just the cache? what to do? and how to do? I have a problem with Wirecast Go, I made a live broadcast of a sporting event, and all 7 gigs remain in the cache making it impossible for new recordings. How do I delete this cache? removing the program and reinstalling? Standard for iOS is that you delete the App and reinstall. Select Wirecast Go in the menu you show and then select Delete App. This is how the OS works as you'd see with other Apps as well. Glauco Zamboni You're welcome of course. There are third party cache cleaning apps but I can't recommend any personally.